All are welcome to join us for this powerful, monthly Shabbat of Joyous Song. Shabbat Rinah is an innovative Friday evening service for people of all ages, in which music and personal expression of prayer are interwoven to both inspire and welcome those who participate. Congregation Beth El is are a vibrant community where people of diverse backgrounds pursue their Jewish journeys. We are an egalitarian, inclusive congregation committed to experiencing the joy and beauty of Jewish life. 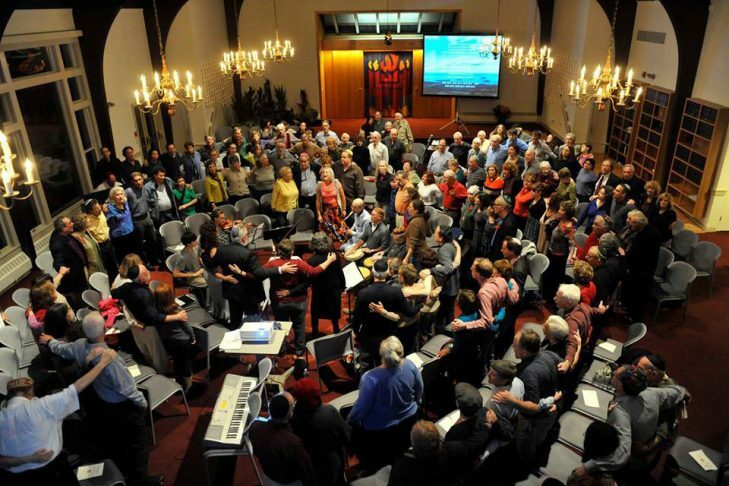 Worship at Beth El is participatory and is filled with joy and song. In our sanctuary, tradition and modernity dance together. As a community we seek meaningful connections with God through prayer and music. We invite you to experience Beth El as we celebrate the beauty of Judaism and Jewish Life. For additional information visit our website @ www.Bethelsudburyorg.